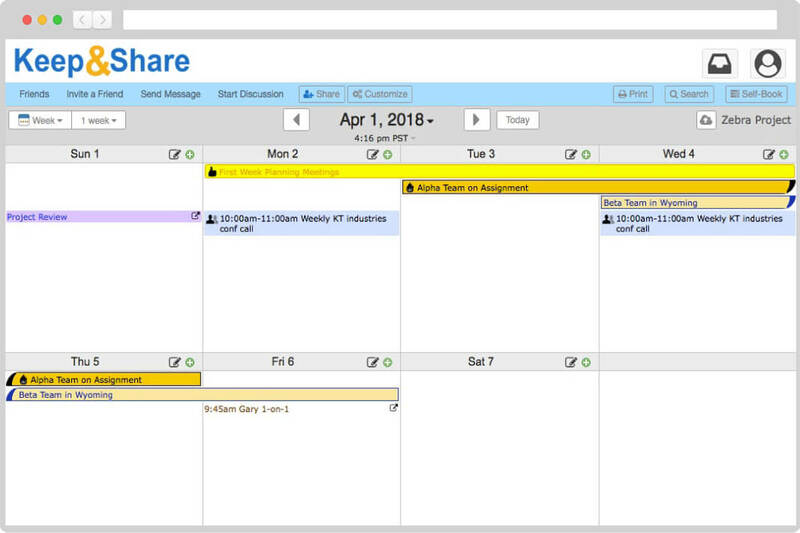 Keep&Share’s web calendars make it easy for you to stay up-to-date, no matter where you are. Plus, it’s easy to share with others so everyone is on schedule. Customize your events with icons, links, pictures, and pages of notes. 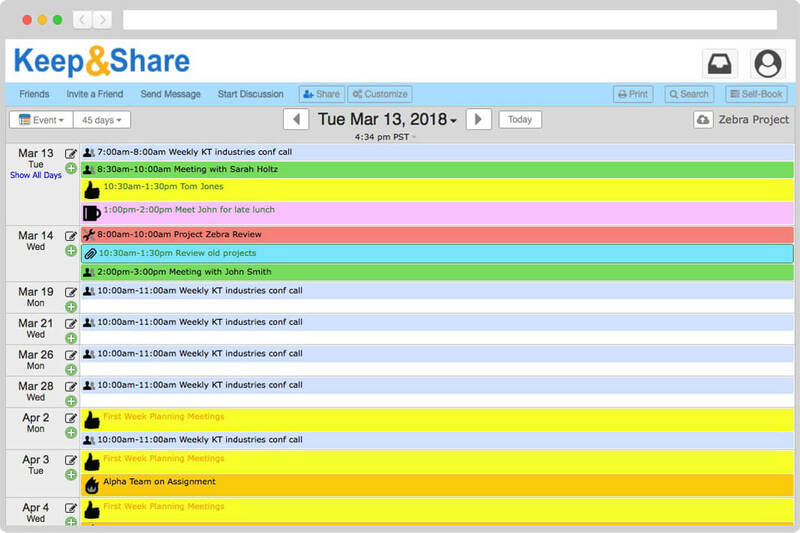 Use Event Tags and custom themes to color-code actives, appointments, and holidays. 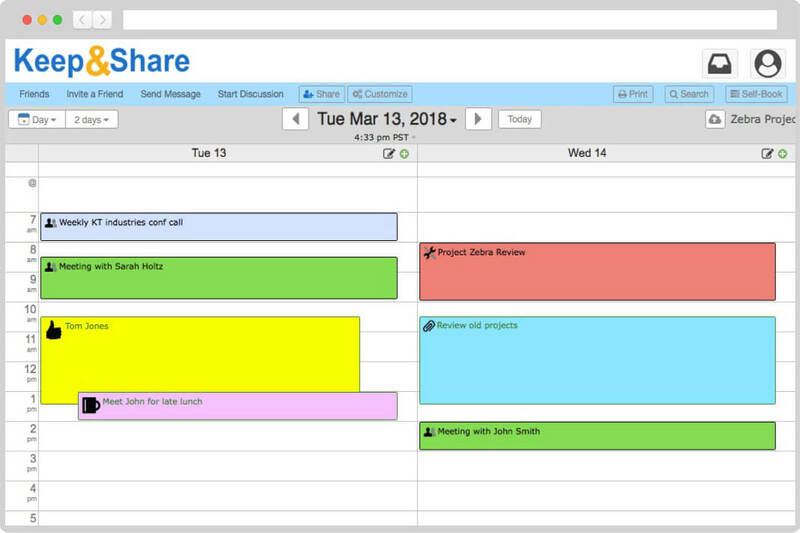 Invite others to view your calendar, whether or not they have a Keep&Share account. 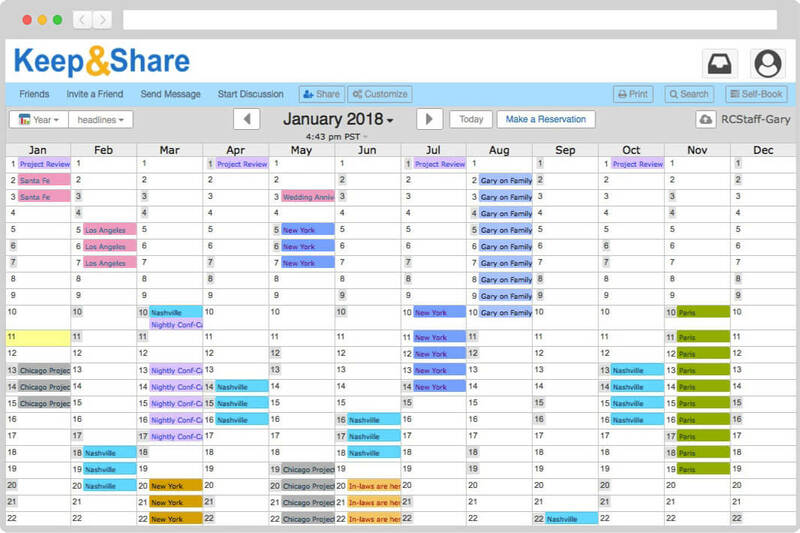 Share your calendar privately or publicly. 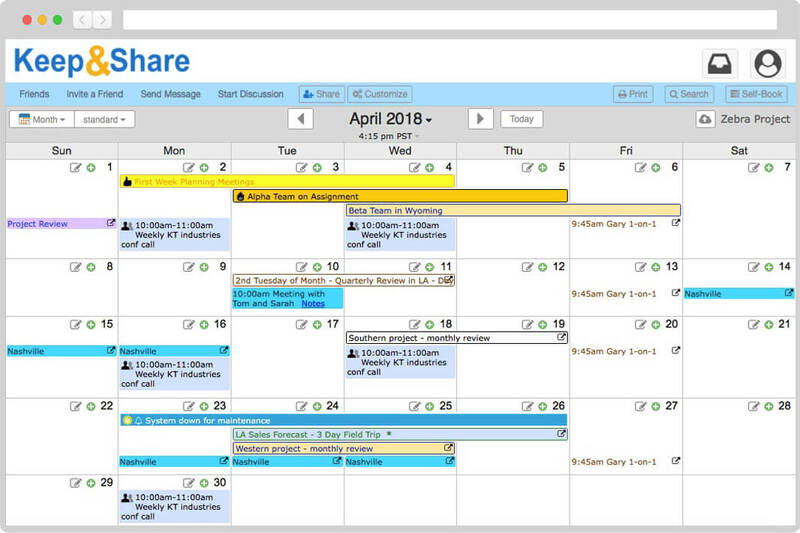 Create events that last multiple days and can repeat every day, week, month, or year - or even on advanced schedules like the first Friday of the month. Never miss another appointment — set up automatic email reminders for events. Our calendars print beautifully in the calendar view of your choice (Day, Week, Month, Year, and Event). Multi-layered sharing & privacy options keep you in control of "Who sees what" (and who can change it) at all times.